Since the late 19th century, the planet’s average surface temperature has risen 2.0º F, largely due to the dramatic increase of carbon dioxide and other anthropogenic emissions released into the atmosphere. The most intense warming has occurred over the last 35 years, with 2016 the warmest year on record. These temperature increases have precipitated major changes in the world’s climate: a 30% increase in ocean acidity, species extinction, warming oceans, an increase in extreme weather events, and 8 inches of sea-level rise in the last century with the rate doubling in the last two decades. If emissions continue, scientists predict that these changes will only grow more severe, making life on Earth inhospitable to humans. This bleak picture for climate change is especially concerning with the election of President Donald Trump. The Trump administration has resurrected the Dakota Access and Keystone Pipelines, aims to rescind the Obama Administration’s Clean Power Plan, and intends to spur production of $50 trillion worth of shale, oil, coal, and natural gas. In 2015, in response to these environmental concerns, a group of youth, aged 10 to 21, filed a constitutional climate lawsuit called Juliana v U.S. against the U.S. government in the U.S. District Court for the District of Oregon. 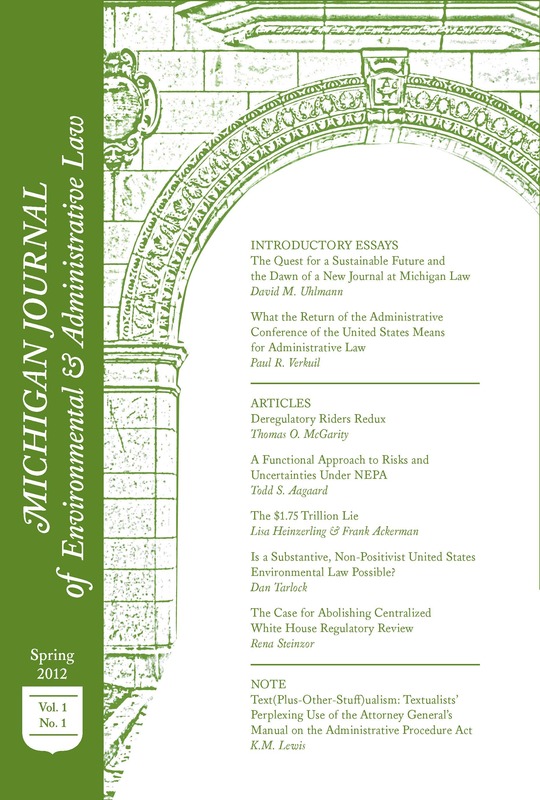 Their complaint asserts that (1) the government’s affirmative actions have caused climate change and that these actions have violated the youngest generations’ constitutional rights of life, liberty, and property, and (2) the government has failed to protect the youth’s essential public trust resources. The fossil fuel industry intervened in the case as defendants, aiding the U.S. government’s attempts to get the case dismissed. On April 8, 2016 U.S. Magistrate Judge Thomas Coffin recommended the denial of the defendant’s motion to dismiss. Judge Ann Aiken concurred with Judge Coffin’s recommendation, refusing to dismiss the suit on the finding that there is a constitutional right to a stable climate system. Judge Aiken writes, “I have no doubt that the right to a climate system capable of sustaining human life is fundamental to a free and ordered society.” She concluded that the Due Process Clause and the Equal Protection Clause of the 5th Amendment protect the right to a life-sustaining climate system from federal government interference. The court also determined that the public trust doctrine, which states that the government owns and must protect and maintain certain natural and cultural resources that are preserved for public use, is an implicit part of due process and is therefore enforceable under the 5th Amendment. The court’s ruling validated the plaintiffs’ assertion that the federal government’s fossil fuel policies over the years, which have produced an atmosphere with dangerous levels of greenhouse gasses, violates the public trust doctrine. In June of 2017, Judge Coffin released the fossil fuel industry from the case and set a trial date for February, 2018 at the U.S District Court of Oregon. The government submitted a petition for a writ of mandamus claiming that the court’s decision is an overreach of judicial power that allows it to indefinitely manage all federal policy decisions related to fossil fuels, energy production, alternative energy sources, public lands, and air quality standards. The petition also claims that the case has permitted unbounded discovery, including requests relating to sensitive internal workings of the Office of the President reaching as far back as President Lyndon Johnson’s Administration. The plaintiffs are currently crafting a response. Juliana is an unprecedented kind of environmental lawsuit. In the past two decades, the typical route for environmental lawsuits relied on regulations and statues. Juliana is a human rights case. It challenges the “government’s fossil fuel policy based on asserted constitutional rights to inherit a stable climate system.” This unique theory of law could be a “legal-game changer” for the climate crisis and for “environmental law as a whole”. If combined with other emerging theories of environmental law, justice could be achieved for previously unpresentable changes in our Earth system. [T]he critical question of ‘standing’ would be simplified and also put neatly in focus if we allowed environmental issues to be litigated in the name of the inanimate object about to be despoiled, defaced, or invaded. Contemporary public concern for protecting nature’s ecological equilibrium should lead to the conferral of standing upon environmental objects to sue for their own preservation. Under the Juliana theory of environmental law, a stable climate suitable for human inhabitation is the objective. If plaintiffs win, the government would be responsible for preventing climate change that threatens human life, likely through changes in fossil fuel policy. However, this would leave a gap where parts of the environment that don’t directly correlate with human survivability remain unprotected. Under this theory of litigation, rare species like the rafflesia flower, the purple frog, or Darwin’s fox would not be protected because their value is intrinsic rather than fundamentally necessary for human life. If, instead, environment objects had standing to sue for their own preservation, the government would not only be responsible for protecting the environment to provide for human survivability, but plant and animal survivability as well. This combination of theories cuts to the heart of conservation science and could present a whole new avenue for environmental protection. * Gabrielle Alvarez is a junior editor for MJEAL and can be reached at gabarez@umich.edu. NASA, NOAA Data Show 2016 Warmest Year on Record Globally, NASA (Jan 18, 2017), https://www.nasa.gov/press-release/nasa-noaa-data-show-2016-warmest-year-onrecord-globally. See Steven Mufson & Juliet Eilperin, Trump Seeks to Revive Dakota Access, Keystone XL Oil Pipelines, WASH. POST (Jan. 24, 2017), https://www.washingtonpost.com/news/energy-environment/wp/2017/01/24/trump-givesgreen-light-to-dakota-access-keystone-xl-oil-pipelines; see also Zinke Signs Secretarial Order to Streamline Process for Federal Onshore Oil And Gas Leasing Permits, U.S. DEP’T OF THE INTERIOR (July 6, 2017), https://www.doi.gov/pressreleases/zinke-signs-secretarial-orderstreamline- process-federal-onshore-oil-and-gas-leasing (quoting Secretary Zinke as stating that increasing lease sales for oil and gas production “is just good government and will further support the President’s goal of American energy dominance”). See Chelsea Harvey, Trump Has Vowed to Kill the Clean Power Plan. Here’s How He Might—and Might Not—Succeed, WASH. POST (Nov. 11, 2016), https://www.washingtonpost.com/news/energy-environment/wp/2016/11/11/trump-hasvowed-to-kill-the-clean-power-plan-heres-how-he-might-and-might-not-succeed (noting that the proposed rule, which would cut carbon emissions from power plants, is being challenged in the U.S. Court of Appeals for the District of Columbia Circuit). See Michael Bastasch, ‘Untapped Energy:’ Trump Promises a $50 Trillion Economic Stimulus, DAILY CALLER (Sept. 23, 2016, 9:59 AM), http://dailycaller.com/2016/09/23/untappedenergy-trump-promises-a-50-trillion-economic-stimulus (highlighting then-candidate Donald Trump’s plan to open federal lands to energy production). Juliana v. United States, 217 F. Supp. 3d 1224, at 1250 (D. Or. 2016). Juliana, 217 F. Supp. 3d at 1233 (D. Or. 2016). Juliana, 217 F. Supp. 3d at 1248 (D. Or. 2016). Writ of Mandamus for Petitioner at 2, Juliana v. United States, 217 F. Supp. 3d 1224 (D. Or. 2016). Juliana, 217 F. Supp. 3d at 1234, 1261 (D. Or. 2016). Mary Blum and Mary Wood, “No Ordinary Law Suit”, Climate Change, Due Process, and the Public Trust Doctrine, 101 Am. U. L. Rev. 67, 107 (2017). Christopher D. Stone, Should Trees Have Standing? : Law, Morality, and the Environment xiii (Oxford University Press 3rd ed. 2010). Mary Blum and Mary Wood, “No Ordinary Law Suit”, Climate Change, Due Process, and the Public Trust Doctrine, 101 Am. U. L. Rev. 67, 126 (2017). World Wildlife Fund, Species List, Endangered, Vulnerable, and Threatened, (Nov 30, 2017), https://www.worldwildlife.org/species/directory?direction=desc&sort=extinction_status.